Microlief ™ - Cottage Farm Inc.
What is Microlief™?The Microlief™ unit consists of one Microcurrent Power Supply snapped on to one pair of Microcurrent Electrode Patches. The Electrodes are specifically designed to transmit the mild electrical current generated by the Microcurrent Power Supply. Electrical conductivity gel is applied to the back of the Electrodes and the Electrodes are placed on either side of the target/painful area. A blinking red light (LED) on the Microcurrent Power Supply indicates that the microcurrent is flowing through the body area between the Electrodes. Microcurrent Power Supply does not have an on/off switch. The Microcurrent Power Supply is activated whenever good electrical contact through gel is present. The blinking red (LED) light is the only visual indicator the current is flowing. If a good contact through gel is not present, the unit will not turn on. When the Microlief™ unit is properly applied a small amount of low level electrical current continuously flows from one patch to the other through the target/painful area. The horse does not feel any sensation during the Microlief™ treatment because the currents are set at approximately the same level of the normal electrical exchanges which take place in the body’s cellular system (49µA microamps). The Microlief™ currents penetrate the injured, inflamed cells and re-establish normal cell activity and metabolism. Circulation is restored to the injured area, inflammation is reduced and collagen producing cells are increased. Microlief™ restores homeostasis to the cellular system. Healthy cell metabolism creates a healthy, pain free internal environment. Pain relief may be experienced within minutes. Microlief™ provides safe and effective pain relief, speeds up the injury healing process, and reduces the need for NSAIDs. A typical treatment duration is 12 hours. One common way to use Microlief™ is to treat the horse overnight while the horse is resting in its stall. Microlief™ can be continuously worn for 5 days if necessary. Microlief™ can also be used to assist with the long term recovery of serious injuries. Recommended Uses of Microlief™Daily Injury Prevention & Optimal Performance Therapy . ​The application of overnight Standing Bandages is a standard preventative maintenance procedure for many stables in order to increase circulation, reduce and/or prevent swelling and prevent stress to structures of the lower leg (ankle joint, tendons, ligaments). 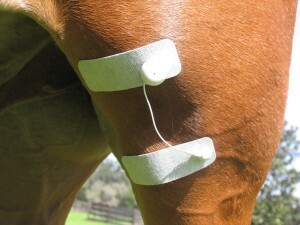 Microlief™ can be applied to any structure of the horse’s lower leg under the Standing Bandage. While the horse rests, Microlief™ works around the clock to promote circulation and establish a healthy pain free internal environment. 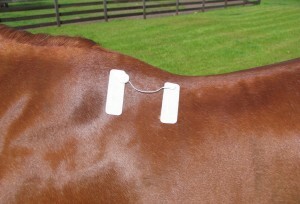 If the horse receives any type of equine sports massage therapy and/or chiropractic therapy, the practitioner may identify areas throughout the horse’s body where Microlief™ can be applied to help manage soft tissue stress..
Microlief™ is available to purchase through Cottage Farm Inc.
​Or save money and order the double kit, pro kit or Five Star kit which is perfect for large stables. Prices start at $75:00 for the basic kit to $320 for the Five Star package. Discounts available for bulk order or with equine massage packages through Cottage Farm Inc.
​Free delivery available in Marion/Levy counties.